It's not that I'm so smart, it's just that I stay with problems longer. " A German born theoretical physicist. He is best known for his theory of relativity and specifically mass energy equivalence, E=mc2. 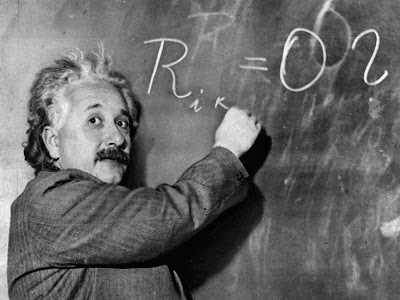 Einstein received the 1921 Nobel Prize in physics for his service to Theoretical Physics, and for his discovery of the law of the photoelectric effect. In 1999 Time magazine named him the "Person of the Century". In wider culture the name "Einstein" has become synonymous with genius. FW : Your plan did not work well ? It seems impossible to be achieved ? Don't give up, give it a try one more time today ! If you fail try harder, if you fail again try even harder, try until 100 times like Albert Einstein :) Remember, those who are afraid to fall, will never fly !! Good post. We need not to be genius. We just do our best. We learn from ours and others' mistakes. This is a great quote and a good thought to start the day! I think Thomas Alfa Edison did this but he didnt make a quote about it. Right? Success can be found in the effort that we put forth. And the challenge for most of us is to put forth enough effort. The true gifts are in the failures and not the success because the failures provide us with the necessary information that we need so that we can succeed. Oh how great it feels when we have overcome something that has eluded us! Luv the quotes, the post, and especially the little blurb under the post. Nice! Yes he was a genius. But there is a story on him. He made investment and he was the big loser in that. This is a moral, being a genius is not a guarantee to be a good investor.